Everybody into the pool, (or pot). 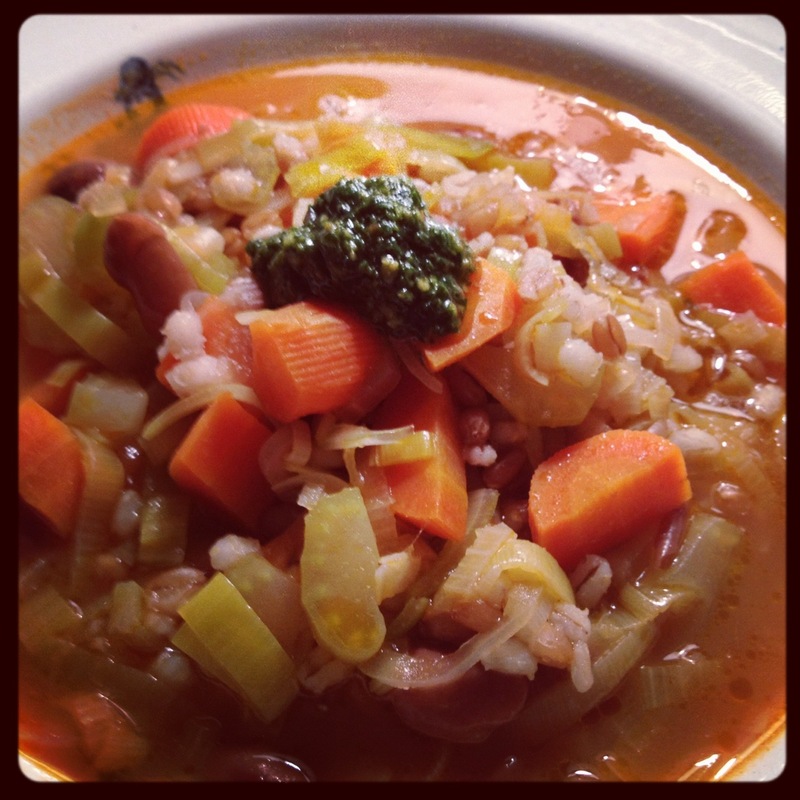 Sometimes a hearty, authentically Italian minestra is all I need to feel warm again on a cold winter day. I throw in as many vegetables as I have on hand, cook them until all are tender, and top it off with a dollop of pesto for added flavor. 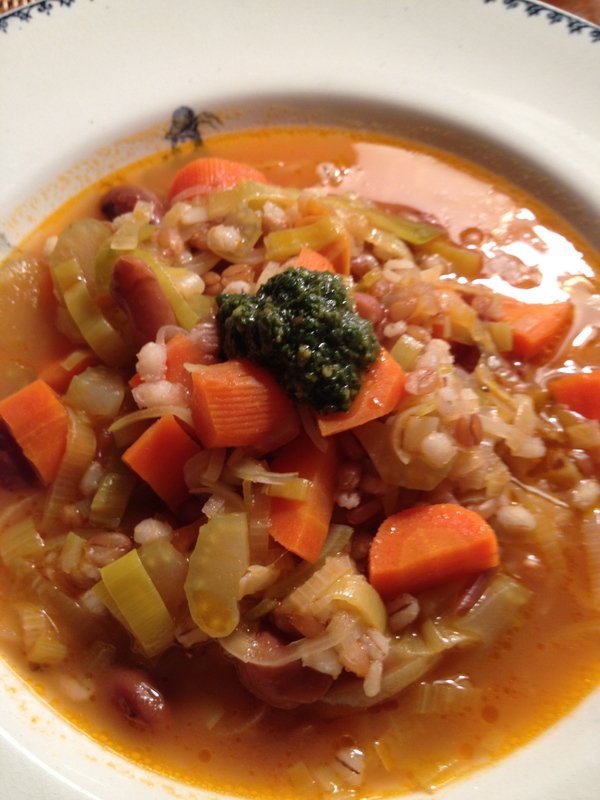 In this case, it was leeks, carrots, celery, onions, pinto beans, and barley. Farro and cannellini beans would have been equally appropriate. Leftovers keep nicely in the fridge and can be enjoyed hot or cold for lunches that same week. 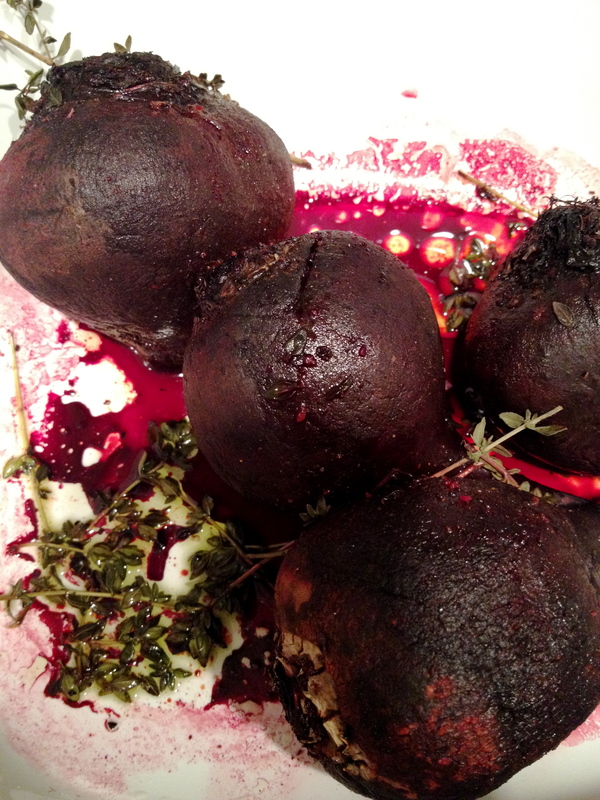 As long as I was stationed in the kitchen for a little while, I roasted a few beets with a lot of thyme and cinnamon; a real feast for the senses. In a Dutch oven or large pot, heat the olive oil over medium heat. 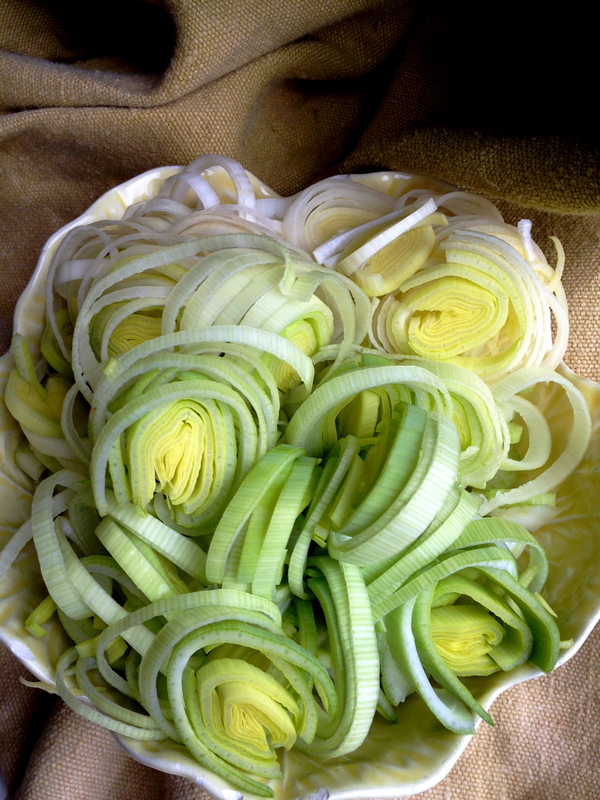 Add the onion, leek, and celery. Stir until they begin to turn golden, about 6 minutes. Add the barley and tomato paste and stir until the tomato paste begins to turn golden and evenly coats the vegetables, about 3 minutes. Add a pinch of kosher salt and pepper, then add enough water to cover everything, about 4 cups. Bring it to a boil and then allow to simmer for 30 minutes. Add the carrots and beans and cook for another 30 minutes. 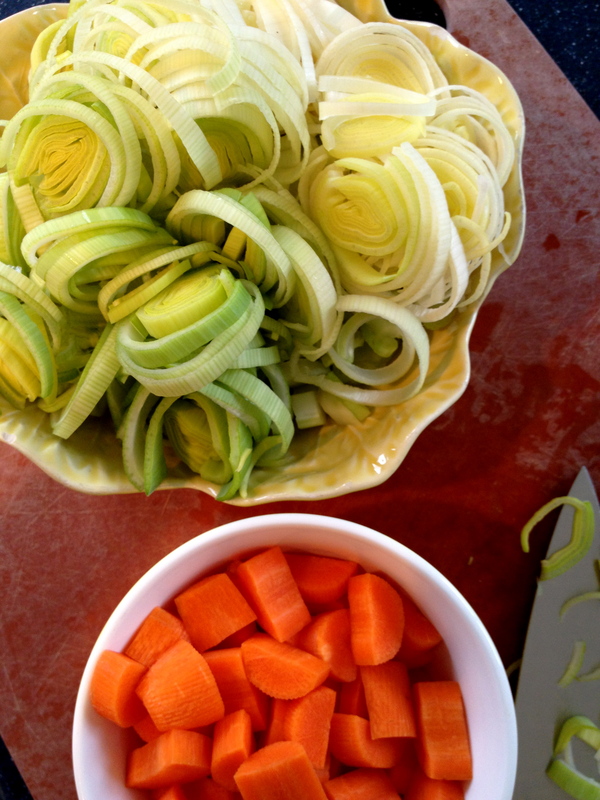 Add more water as you cook so that it remains a soup and does not dry out. 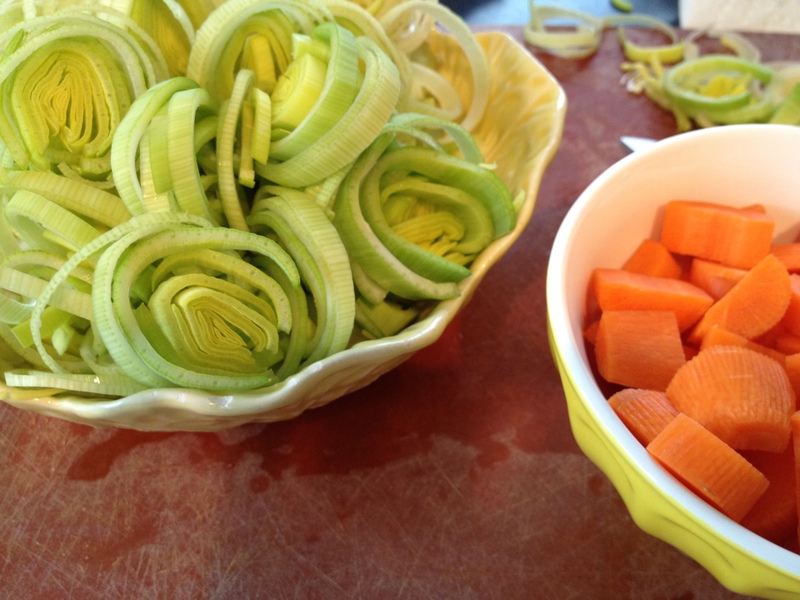 When the carrots are perfectly tender, the soup is finito. Garnish with a dollop of pesto, and, if you choose, torn fresh basil and grated Parmigiano.